MWLUG 2015 – IBM Bluemix: Expand Your Horizons – Coolest demo ever ! In two weeks time Ryan Baxter and I will be taking the stage to talk about IBM Bluemix and how Domino/XPages developers have a whole new vista of opportunities open to this in IBM Bluemix. Be there – or hear about it from your friends………. 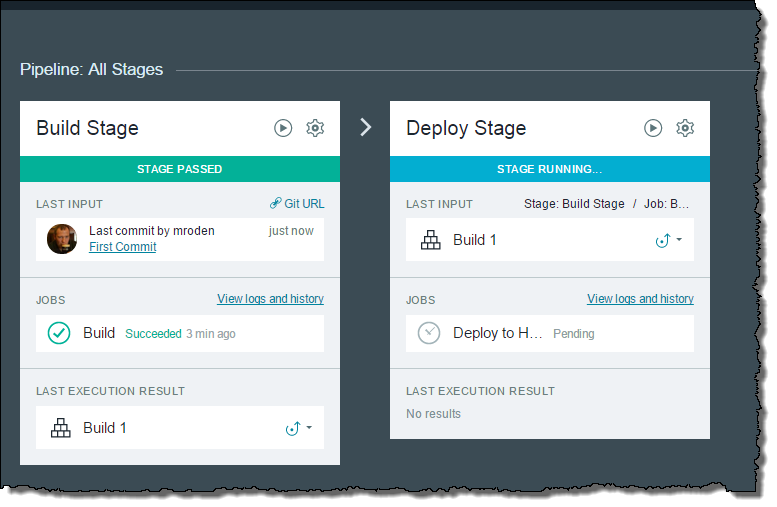 If you missed our recent webcast, “An introduction to creating Domino applications in the Bluemix environment”, don’t worry – it’s now available on-demand. You can view both the video replay and presentation easily right from your desk. 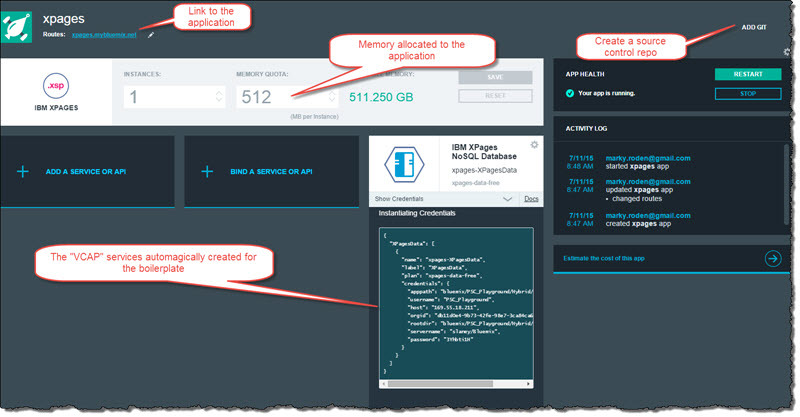 XPages is now available as an experimental release in Bluemix. 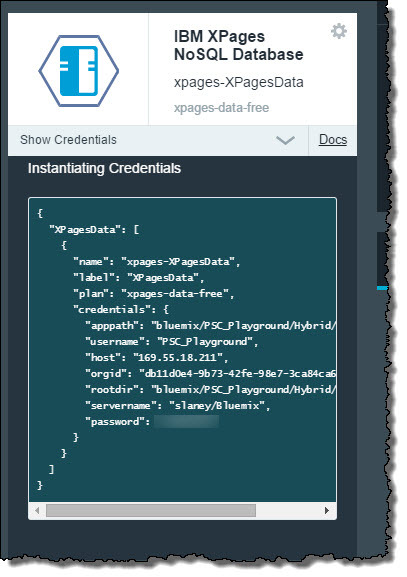 As of July 2015, anyone can sign up for a free Bluemix account and try out the new XPages in the cloud capability. Within Bluemix there are three levels of capability “completeness”. Experimental, Beta and Production ready. Experimental has no Service Level Agreement, no promise of availability and the code base can change at any time without notice. The reason IBM uses this level of completeness is to test drive an application’s capabilities and to elicit feedback from users. They understand that XPages in Bluemix is different than what we are used to on premesis. There is some getting used to the difference in coding patterns when we want to to “@DbName()” for example is now – bluemixContext.getDataService().findDBName(). So experimental means is that it is not production ready and IBM is honest and open about it. For me, it is better to have something than nothing and exciting to thing that in some small way I might be able to help drive the direction of the platform in this manner. Don’t forget – so can you ! The ability to run an XPage application securely, in the cloud, while accessing data securely through an encrypted tunnel back inside the enterprise. I started using Bluemix so that I could prepare for XPages arrival, but also so that I could learn new technologies like nodejs and cloudant. As I mentioned before, I strongly recommend you take this as an opportunity to broaden your horizons and learn something new. 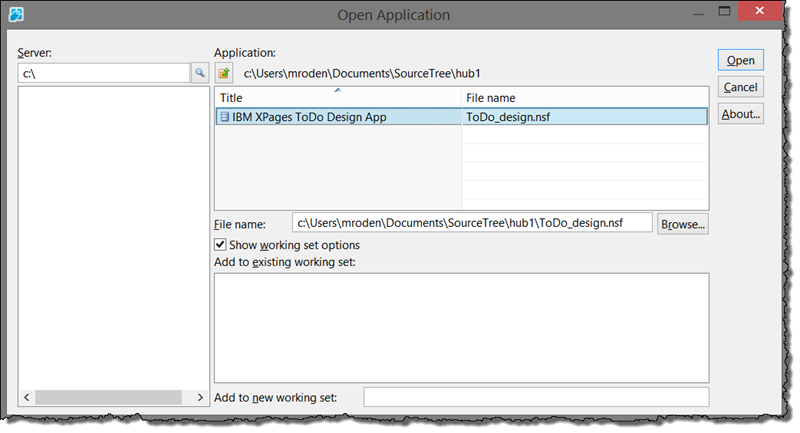 In this article I will look at modifying the out of the box boilerplate application and starting to look at the tooling around the new XPages in Bluemix capability. I will specifically talk about the use of the Bluemix integrated git repository. 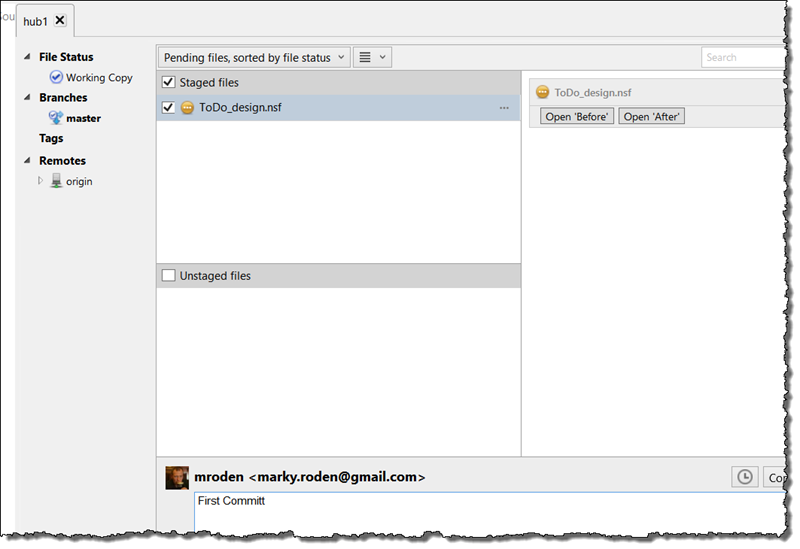 We can immediately see from this image that it is not quite what we normally expect from a “source control repo” for XPages development. The entire NSF is part of the repo……but let’s go with it. 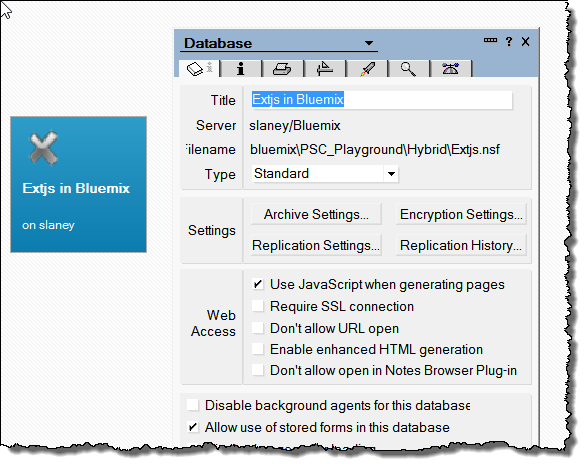 You must be using the notes ID provided by bluemix for your notes applications. 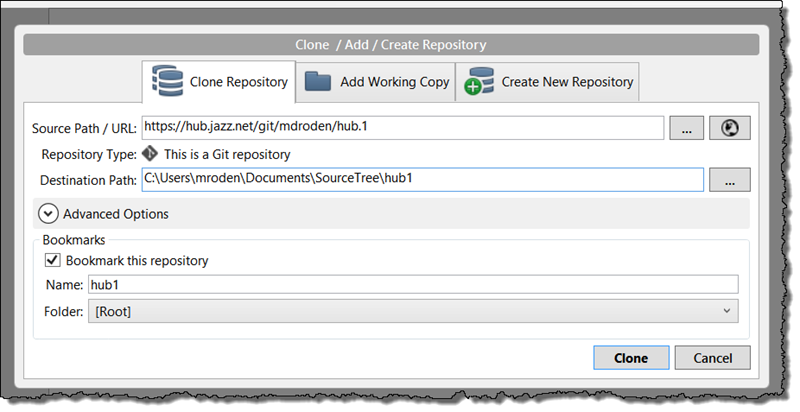 I did have a build issue, don’t know why (experimental code) but clicking the redeploy button fixed it. 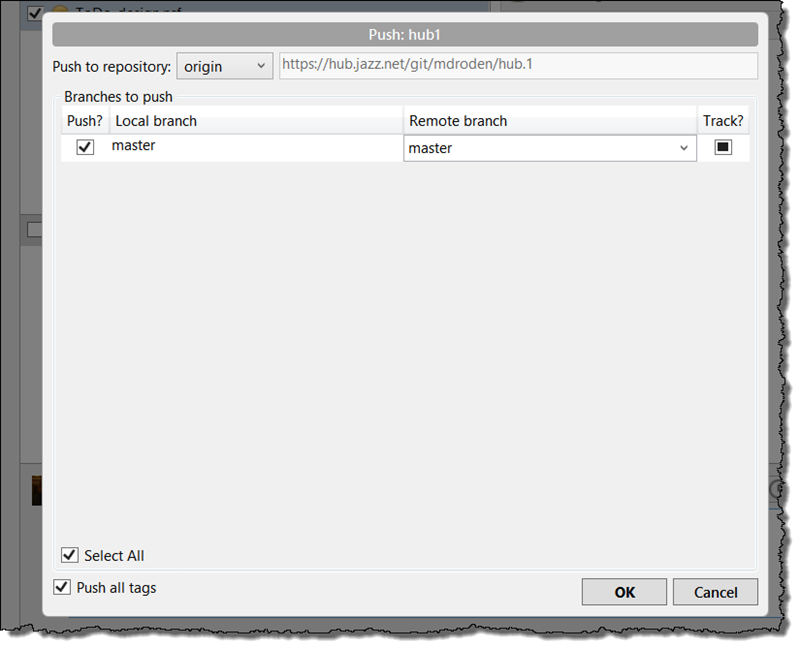 I am not sure I recommend this manner of deploying an application to Bluemix via this method – I just wanted to see if it was possible. 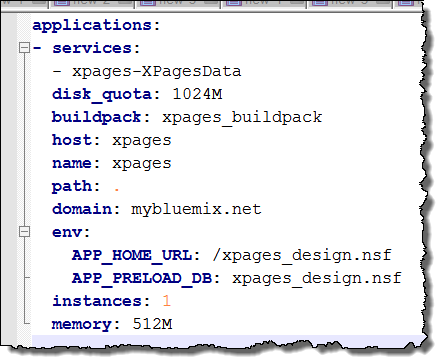 In this article I will explain the XPages in Bluemix application dashboard and what is available to the developer from the Bluemix web interface. 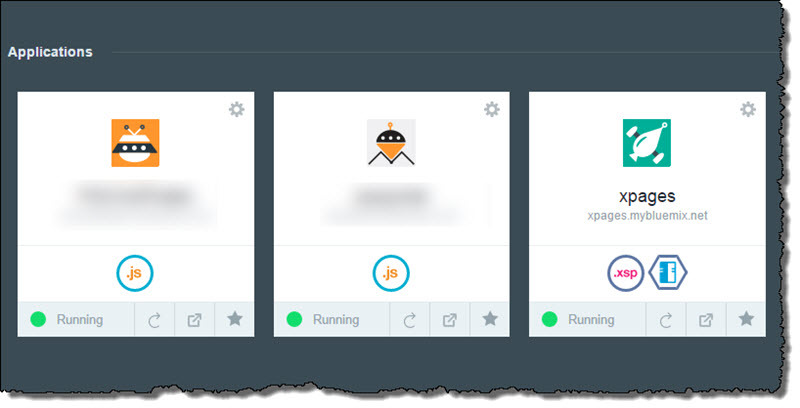 Once you have created your new XPages application in Bluemix it will appear on the “Dashboard” with a weird spacecraft for an icon. By default the application has 512M allocated to it. Once XPages in Bluemix goes live this will become more significant – this is the number by which Bluemix determines how much you get charged each month. Throughout Bluemix you are charged by the GigaByte hour. That is the number of Gigabytes utilized by a running application each hour. so in this case 512M for an hour is 0.5 Gigabyte hours. Over a typical month that is 720 hours, or 360GBHours. The free allocation is typically 375hours. So this one application running for a month is all you would have “free”. You can reduce this value through the menu, but what you need will be based on your application. Right now (July 2015) XPages is free – keep an eye on it !!! On the bottom of the smaller box for IBM XPages NoSQL Database you will see a down arrow – if you click on it you will see what are called the “VCAP” services. These are the Cloud Foundry Environmental Variables. 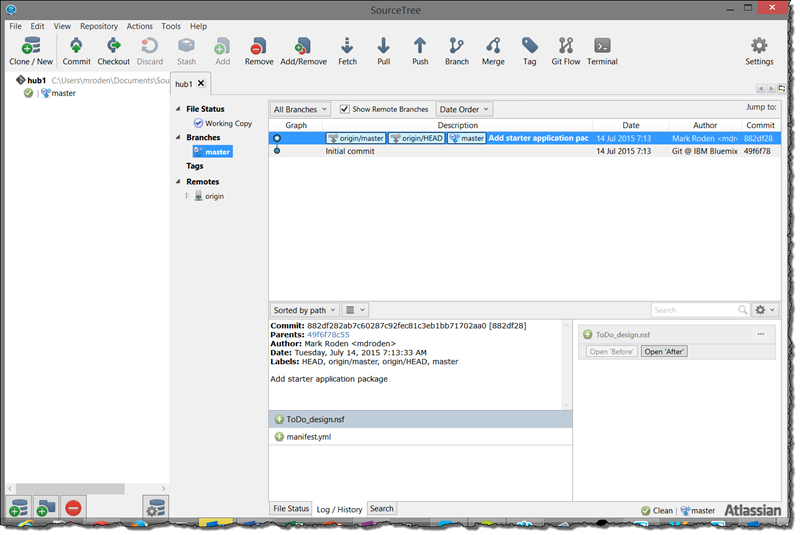 This JSON construct is critical to telling Bluemix how the XPages boilerplate application works. 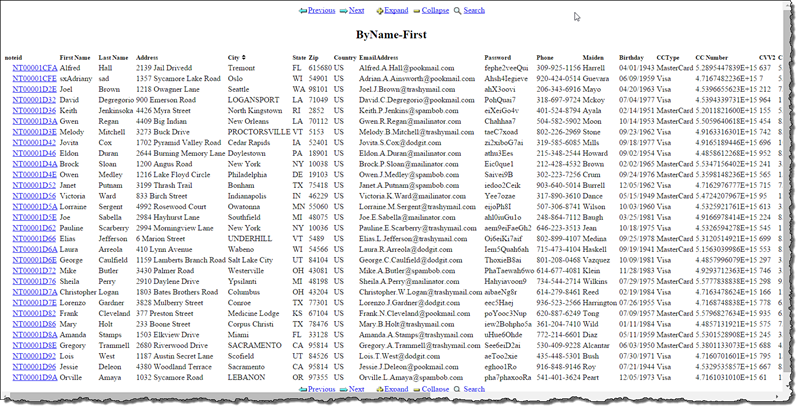 When you use the self selection to deploy the application all this information is created on the fly. Looking at the labels for the data they should be relatively self explanatory for a Domino developer.